Place 5 cups of water in a large pitcher. Add the cup of lime juice and mix together. Blend the cucumber, 6 mint leaves and 1 cup of water in the blender at medium speed. Strain and add the juice to the pitcher. Add the rest of the ingredients and carefully stir everything together. Serve over ice, well chilled! Refrigerate for at least 2 hours to allow the flavors to blend. 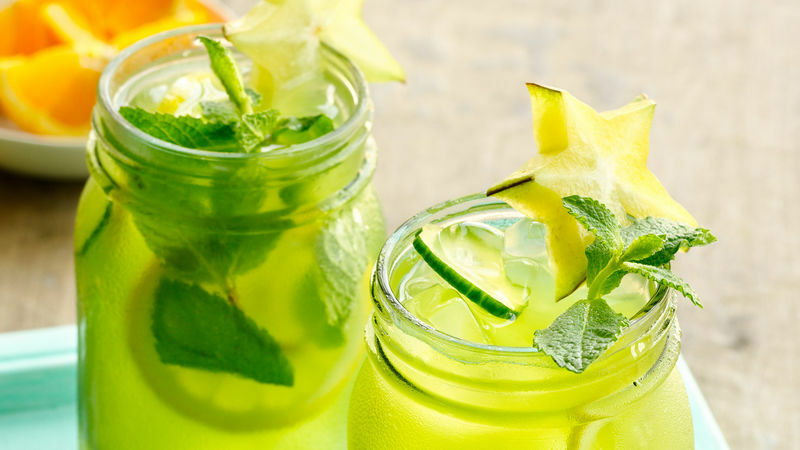 You may garnish the glasses with a sliced yellow lemon and star fruit. A refreshing drink - like this cucumber agua fresca (a type of cucumber drink) – at the height of summer is always welcome. It’s perfect to enjoy with the whole family. You can also serve it at your get-togethers, plus it’s a good way of incorporating ingredients that are great for everyone!